In October, Thin Lizzy announced that they would not be recording new material under the Thin Lizzy monicker. The last incarnation of the band - Scott Gorham, Brian Downey, Darren Wharton, Ricky Warwick, Damon Johnson and Marco Mendoza – would be looking to form a new project. Today sees the announcement of the new band formed by Thin Lizzy alumni Ricky Warwick (vocals), Scott Gorham (guitar), Damon Johnson (guitar), Marco Mendoza (bass) with new addition Jimmy DeGrasso on drums (Alice Cooper, Megadeth, David Lee Roth, Suicidal Tendencies). The change in personnel came about as Brian Downey didn’t want to commit to the touring cycle a new album would entail and Darren Wharton wanted to concentrate on Dare and other music and film projects. 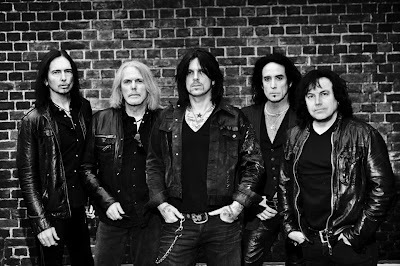 Black Star Riders are set to enter the studio in Los Angeles in January to start recording their debut album with producer Kevin Shirley (Led Zeppelin, Iron Maiden, Aerosmith, Rush). The album will feature material the band wrote whilst touring as Thin Lizzy and the sound retains that classic feel but is very much its own as well. 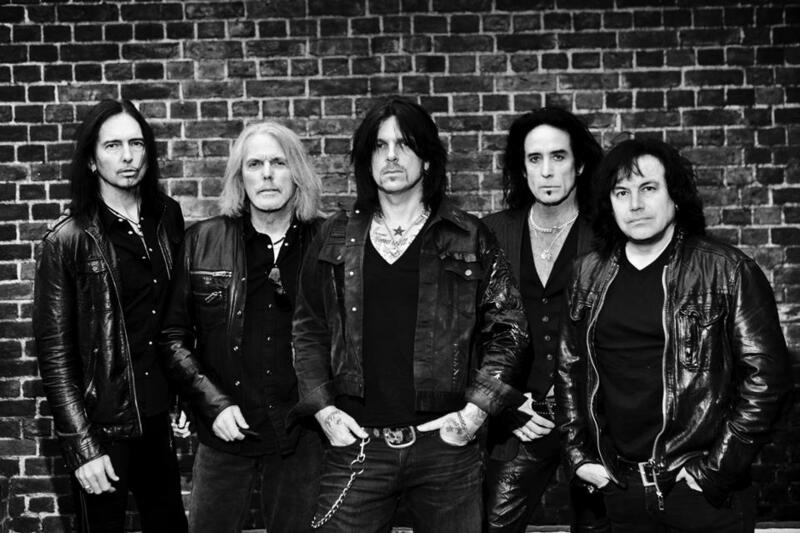 The Black Star Riders record is the next step in the evolution of the Thin Lizzy story. "We are all very excited about the music that we have created for Black Star Riders,” says Warwick. “The synergy between the five of us has been phenomenal and I can't wait for the world to hear these songs." The new, as yet untitled, album will be released in May 2013 through Nuclear Blast – the label behind acts such as Anthrax, Nightwish and Meshuggah. Black Star Riders are one of the first bands signed by Monte Conner – the former Roadrunner A&R guru who has signed acts such as Slipknot, Machine Head, Sepultura and Rush. Conner recently joined Nuclear Blast as the president of Nuclear Blast Entertainment, a new U.S. partnership he co-founded with Nuclear Blast owner Markus Staiger.